Denton Towing Company of Denton, Texas is completely licensed and insured to provide quality towing and roadside assistance services to the motorists locally and in surrounding areas. We diligently prioritize our customers with the utmost compassion and care; as we know most often when our services are needed, you are already overwhelmed with the circumstances. Our fleet of towing vehicles and roadside assistance recovery aid are always well maintained and of quality products and equipment. Denton Towing Company roadside assistance services are readily available for those in need in Denton, Texas and surrounding areas. 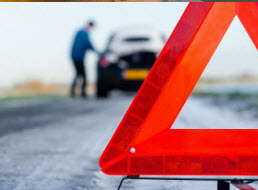 Roadside assistance services are there when you find yourself in a predicament and need help. 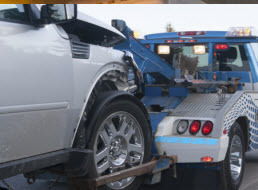 In addition to towing services, Denton Towing Company roadside services are exceptional. Denton Towing Company of Denton, Texas roadside assistance services array of options include, but is not limited to, the services listed below. Auto Lockouts: Getting locked out of your automobile is more common than you might think. The many variables and situations that make it so make it very likely. 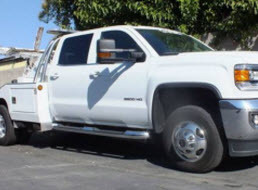 Whether you got locked out of your vehicle at your residence, work, running errands, or at play, Denton Towing Company can rapidly get to your location and get passed the lock to your vehicle without sustaining any damage. Fuel Delivery: When you have not given your fuel gauge much attention, or you tried to push it pass the limit, your vehicle is unable to function, no matter how inconvenient the location or time of day. With our emergency response, Denton Towing Company can deliver the fuel you need to get safely gas station. Jump Starts: Extreme weather is often to blame when a battery fails. Leaving the lights on or other such circumstances can drain the charge as well. Batteries are designed to last 3-5 years. Whether you have lost the charge or the battery is past its life, needing assistance when it has failed is essential. 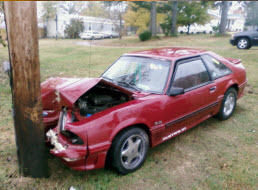 Denton Towing Company is eager to come to the rescue and offer a jump start or a tow when needed no matter where you are at in the Greater Denton, Texas area. Tires Changes: Tires are susceptible to leaks and damage. Age, temperatures, condition, and driving habits are all factors that can make the tire unusable. Tires can experience a slow, moderate, or fast leak, shredding, and other issues can make the tire inoperable. If you are not capable or have lack the proper tools and equipment, Denton Towing Company is armed with expertise and quality products to change your tire. When you are in need of roadside assistance in the Greater Denton, Texas area Denton Towing Company can help. Our experts can help in most situations and when the problem is too complex for roadside care; our providers can get your disabled vehicle towed to optimal location. Be sure to store our contact information into your cell phone in order to reach us quickly and conveniently.